Realistically speaking, I can only dream about traveling through time and space with The Doctor. 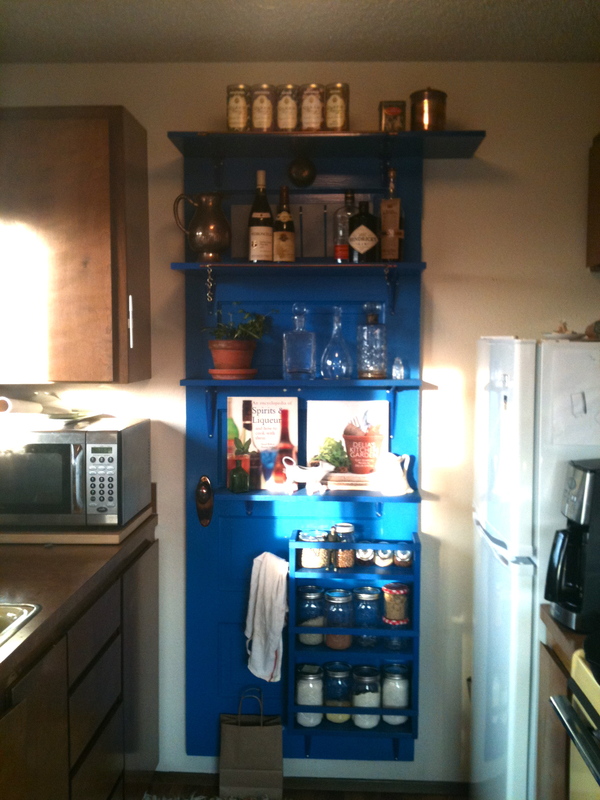 However, thanks to my Dad, I can better imagine it with this shelf he built me for our 1970’s rental kitchen. 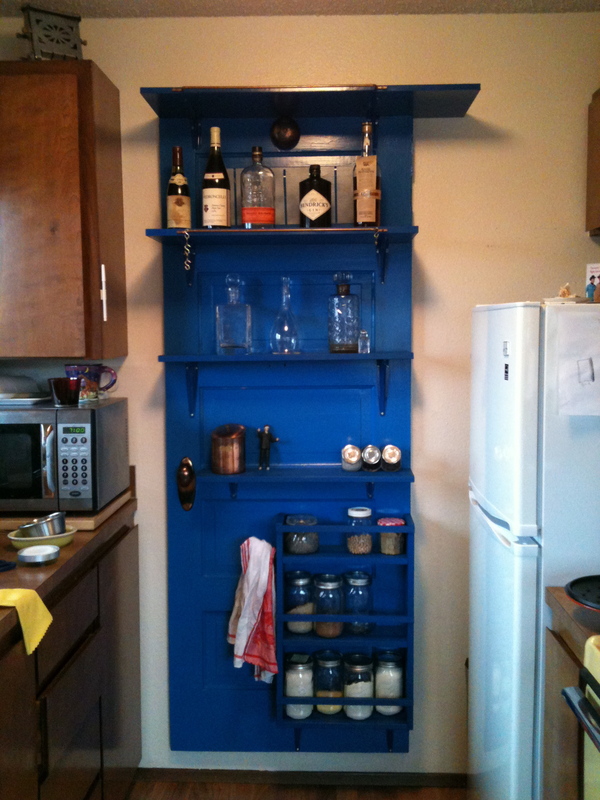 The shelf started as an old door, my dad added shelves and painted it my color of choice: tardis blue. 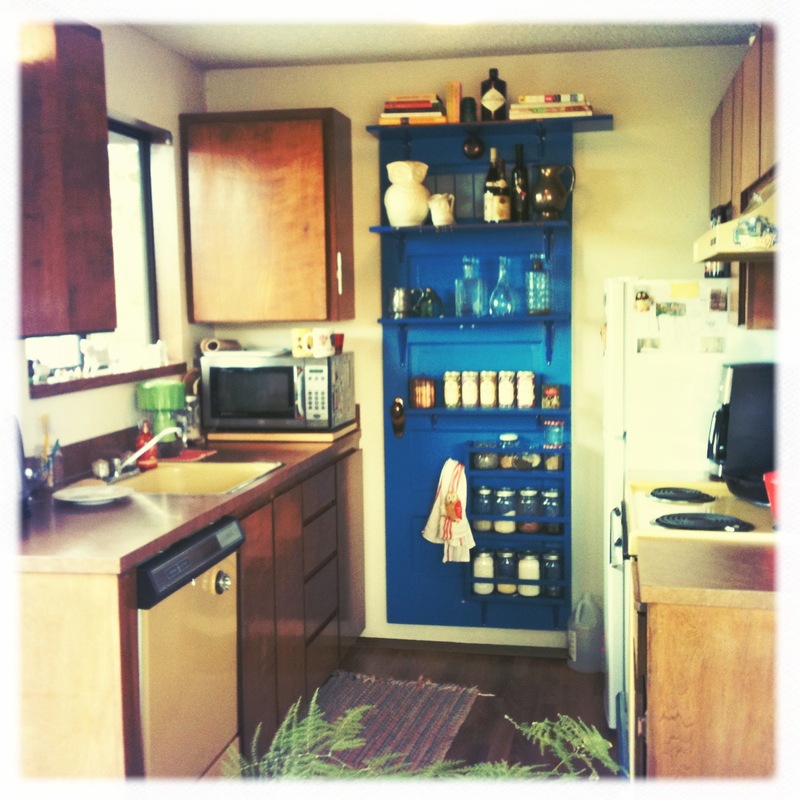 I don’t normally choose such strong colors for pieces that are going to take up this much visual space in a room, but our run-down little kitchen needed a pop to distract from, but not clash with, the harvest gold appliances. 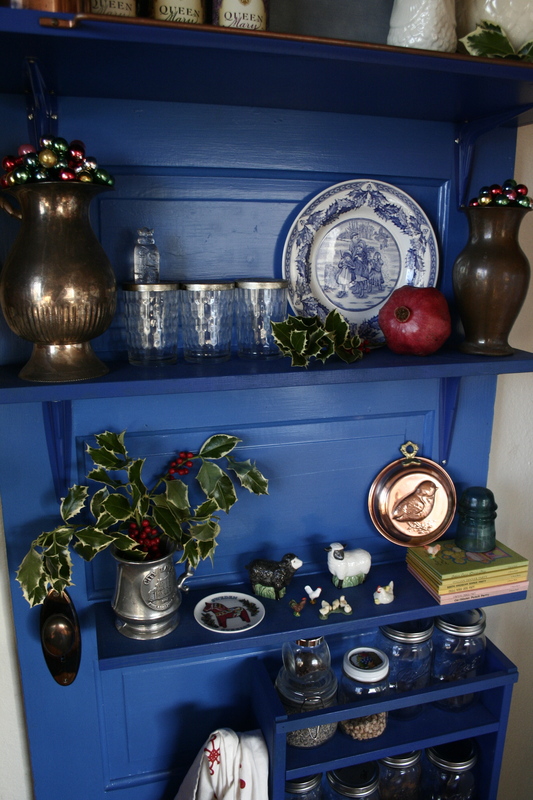 After painting the unit, my dad added some special details, like an old door knob, a faux window and an old bell (it works!). This was never meant to be a replica of the Tardis, only reminiscent of it, and I am immensely happy with it. 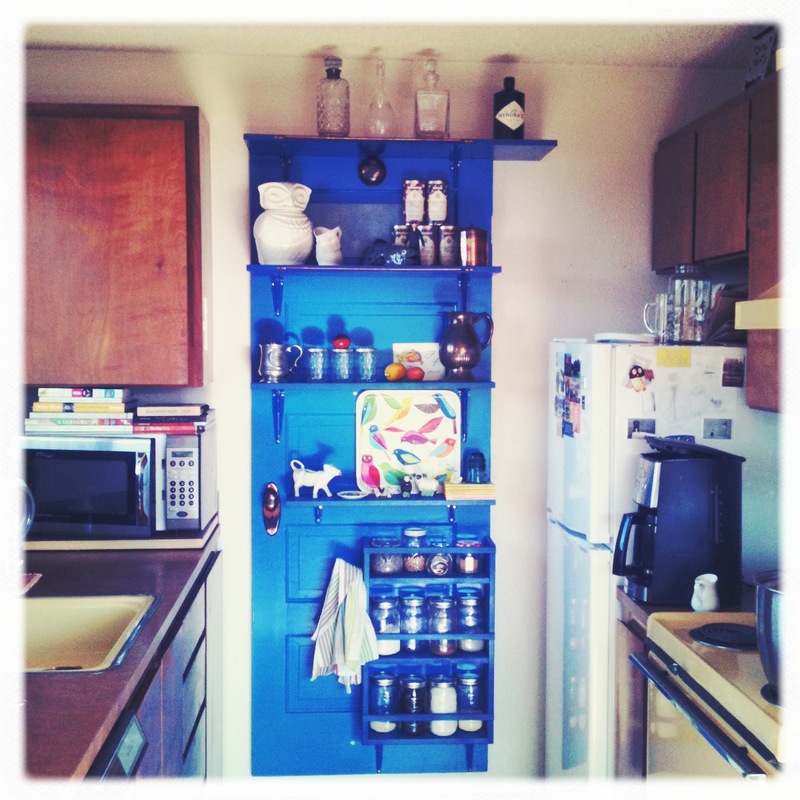 I love arranging items on the shelves and like to change it up quite often because I am never 100% satisfied. A big Thank You to my Dad for putting the work and thought into building us this unique piece, we love it. I love it, I think it’s such a lovely, bright feature for your kitchen. I adore nerdy pieces like this!